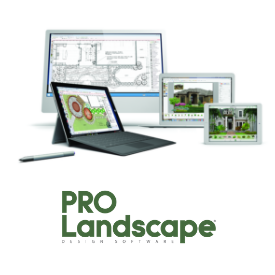 Landscape designers and contractors can easily see the benefits of integrating PRO Landscape Design Software into their design process to increase sales and improve both design quality and overall customer satisfaction. PRO Landscape will help you quickly create stunning visual designs for your customers, accurate site plans for your crews, and professional proposals that effectively communicate every aspect of the proposed project. For a quarter century, PRO Landscape has helped thousands of landscape designers and contractors sell a higher percentage of jobs and dramatically increase profits.